1) Embark on a quest to improve your physical fitness, no matter what age you are. It inspires people around you tremendously. Inspiring people around you, and feeling your physical best will become an *instrumental* part of your overall success. 2) Be the source for highly-coveted Hemp CBD Oil to people around you. CTFO™ brand CBD is standardized, GMP-certified, drop ships directly to your referrals, and sends you a commission for every purchase they make forever. For example, I made a long-term commitment to refer 1000 people to my personal CTFO CBD store link (http://wtrainer.myctfocbd.com) that I got for free. I have it linked up below on this website, and I send it out in emails, via text messaging, I Googled “how to promote online” and applied many things I learned, etc., to reach this goal. Took me 24 months and because CBD is *driving the market* my 30th month, this month July, my customer network crossed the 100,000 mark and stretches over five different countries. This is real and still in its infancy. CBD is just now being accepted, and CTFO is only three years old and has a rock solid track record for quality and compensating income builders. No experience necessary at all to grab a free link and begin referring. Refer 1000 people aggressively and reach financial freedom much faster! Drops, Isolate, Personal Care, Weight Loss, Sleep, Energy and Focus, and Pet Care! 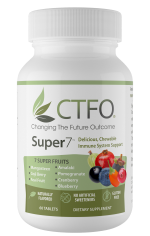 I personally use two bottles of CTFO CBD 1500mg Drops per month, or more. The stuff is an important component of my wellness routine as I perform at high levels in the gym, as well as with my home business projects. I feel it keeps me cool as a cucumber under pressure! Jose Garriga Jr, Independent CTFO Distributor. Click 202-277-1299 to call anytime! Not a CTFO member yet?